Home > From A Strong “Kiddo” to a Goddess, Day 2 At Outside Lands Featured Strong Performances By Women > Florence + The Machine @ Outside Lands Music And Arts Festival 8/11/18. Setlist. 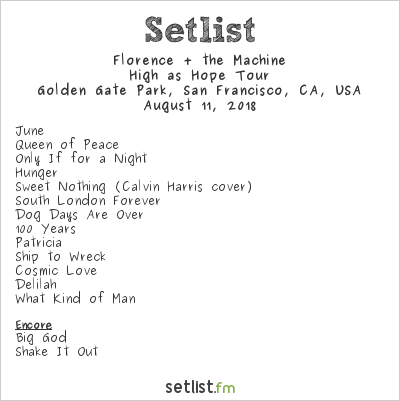 Florence + The Machine @ Outside Lands Music And Arts Festival 8/11/18. Setlist. Check Out More Photos Of LIZ At The Billy Ball!! !